NEW ANGLOPHILE CHANNEL PHOTO: This One from the Interview Deserves its Own Post! 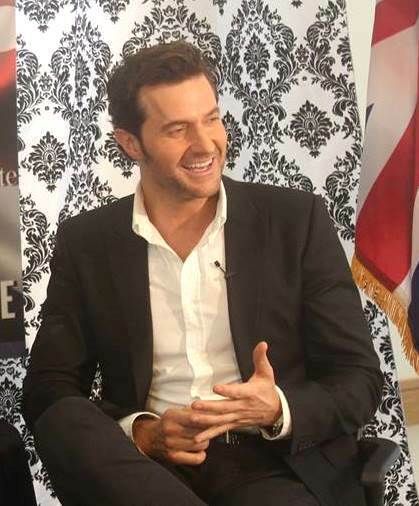 Clearly, RA was relaxed and enjoying the time he spent with Marlise Boland of the Anglophile Channel. BACKGROUND: In December, RA was voted The Anglophile Channel‘s Favorite British Artist of the Year in a hard-fought race of fan votes. Today RA sat down with The Anglophile Channel Creator and Executive Producer Marlise Boland for what ended up being a lively, fun and extensive interview. We’d like to add our thanks as well. And thanks again to Marlise and The Anglophile Channel. We can’t wait to see the interview!